Shoryu is a Michelin guide recommended Ramen bar that specializes in the thick, rich white pork soup Hakata tonkotsu ramen. Here's an easy recipe for you to try. You can customize how much heat you'd like. They look fancy and will be sure to please your seafood loving friends. Great BBQ is a thing of beauty. 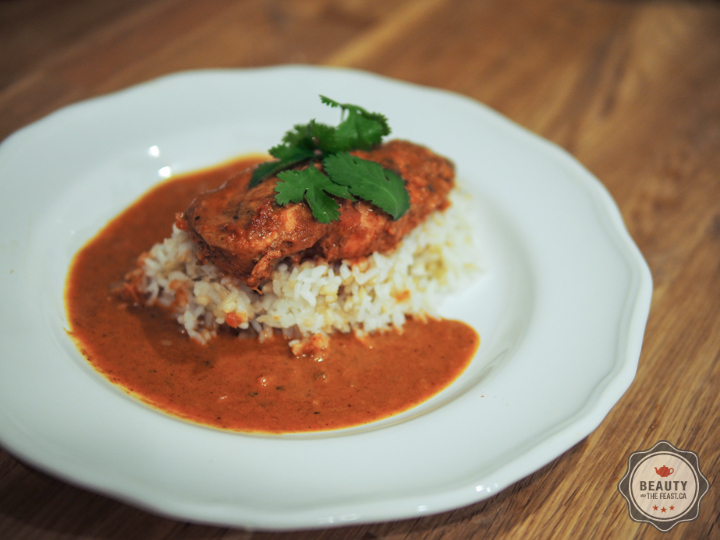 There's nothing to fear in homemade Butter Chicken. I've been interested in Indian food but feared it would be too hot, and the menus were intimidating because everything sounded the same. This changed in 2005, when my friend Todd Morin served me his homemade, from scratch simple recipe of Butter Chicken which only consisted of a few ingredients (celery, onion, tomato paste, tandoori masala, whipping cream and fennel). He learned this recipe from an Indian family. I was instantly in love with the flavour and this was my gateway into Indian food.